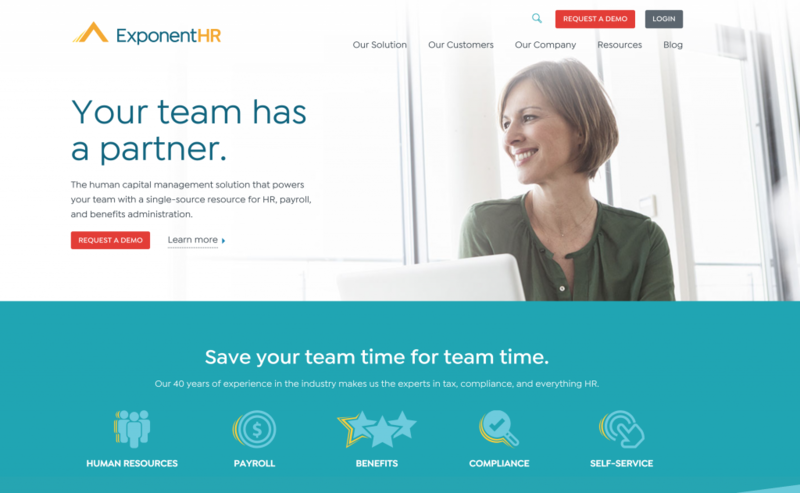 ExponentHR is excited to announce the new ExponentHR Corporate Website, providing you an easy way to learn more about who we are and how we are empowering employers, just like you, nationwide. We encourage you to explore the resources now available, such as meeting our teams, learning about upcoming events, being inspired by our collection of blogs, and much more. To take advantage of these available resources, simply navigate to www.ExponentHR.com. Please note that users who have bookmarked this URL will still be auto-directed to the standard ExponentHR login page. However, for users who are accessing the site by typing in the URL, the new ExponentHR Corporate Website will be presented. Note: Any employee accessing this page will still have immediate access to his/her ExponentHR account by clicking the LOGIN button in the top right of the navigation. Employees, who desire to bypass this page and go directly to the user login page may do so by typing/bookmarking the login page URL (www.exponenthr.com/login). For questions, call or email our Enterprise Services Group at (866) 612-3200 or support@exponenthr.com.